About the farm and our committment to quality farming. Avocado Tom's mission is to grow and supply premium avocados to the best cafes and retailers of the best place on earth; NSW Far North Coast, Australia. The family farm, ‘Laurel Park’, near Alstonville, is the mothership for the operation of ‘Avocado Tom’, where we have been producing avocados for the last 30 years. The farm’s combination of deep, free-draining Krasnozem soils, high rainfall, and a subtropical climate provide the ideal environment to produce delicious avocados. 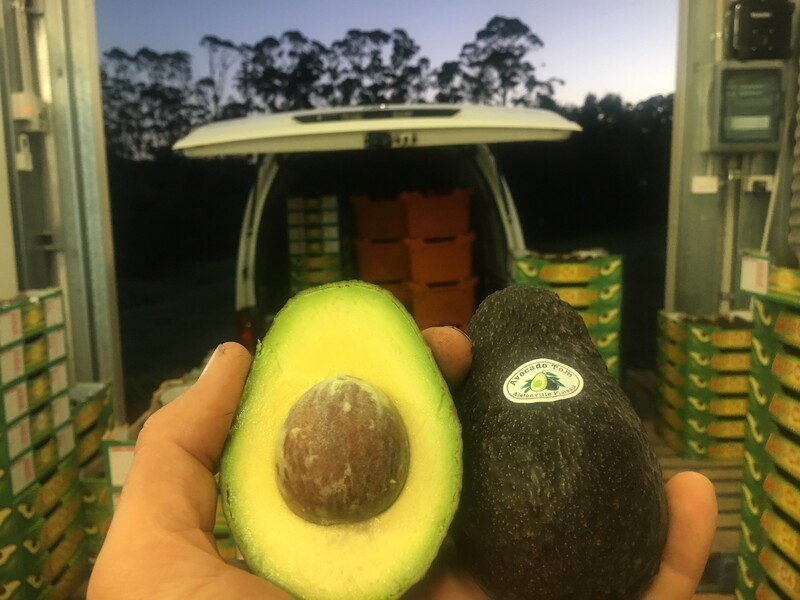 Marketing and distribution of our avocados follows a model which does not rely on the high transport costs and the inequities of dealing with terminal markets and multi-national retailers but instead concentrating on supplying a premium quality, locally produced avocado to the region’s cafes, restaurants and independent retailers. Our varieties are predominantly hass, but also shepherd and our favourite sharwil. We focus heavily on a quality, ripe and ready product that never disappoints. Our customers understand that local supplier relationships and fresh quality produce are more important than price and credit terms. We understand the stress of a busy kitchen trying to bang out 200 breakfasts before 11, and every second avo is bruised or unripe. At avocado Tom we are obsessed with supplying consistent, great quality and ripeness both to our retail and food service customers. We ensure this because we only sell what we grow. Our avocados are looked after from a tiny little flower, all the way through the growing season to harvest, where we carefully pick, pack, ripen and deliver every single avocado. We are a proud and passionate farming family, we love what we do and the community in which we do it. We strongly believe in the paddock to plate movement, fresh local food appreciated and enjoyed within the community it's grown in. We believe that farming is about stewardship, and what we put back into the land is there for the next generation. There is a bit of our blood in our fertile red soils, and probably a bit of fertile red soil in our blood! © Avocado Tom. All rights reserved.